Educate and innovate — all in the same place. Help your developers level up their skills on the platform they already know and love. Any member of your organization can build a Learning Lab course. Give your developers the ability to share their expertise at scale, using code they’ve already written. Project-based courses help learners gain experience using your preferred workflows and integrations. Assemble courses and other training resources into learning paths to build a unique learning strategy that’s perfect for your team. Create realistic training programs specific to how your organization works. 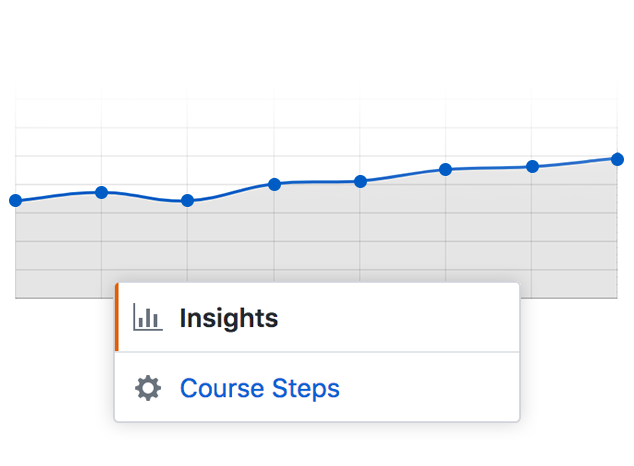 Put courses together from scratch, easily customize our template courses, or let one of our Course Architects help you get started. 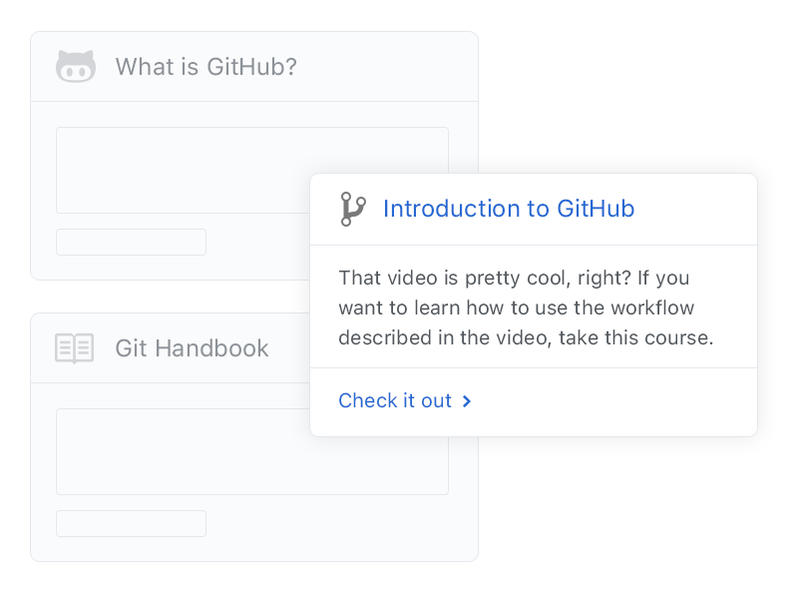 Learning Lab keeps your developers productive and challenged—without ever leaving GitHub. Use the organization dashboard to track how your team is growing through each new challenge. 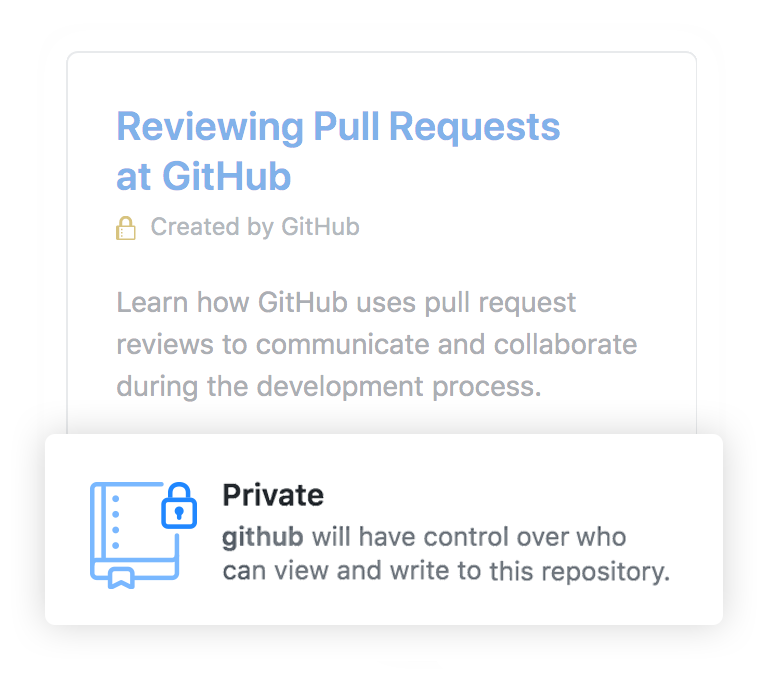 If you can do it on GitHub, you can learn it on GitHub. Our friendly Learning Lab bot helps developers learn and apply new skills through short, hands-on projects. 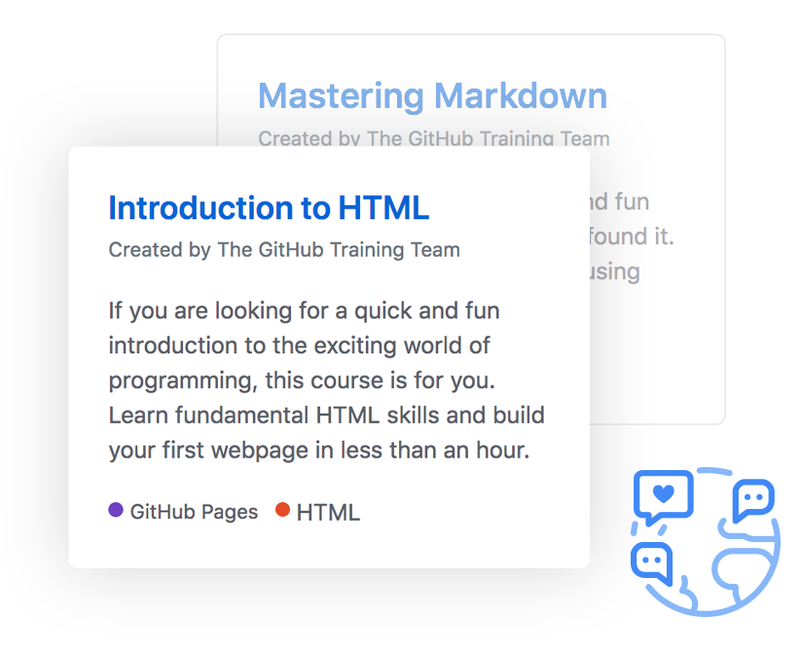 Give your developers unlimited access to fully supported learning experiences — plus learning and development opportunities to help your entire team build better software. Whether you need to educate users at scale or want to provide a better learning experience for your team, we are here to help. A valid company name is required.